Looking for Indonesian style for a fish menu? 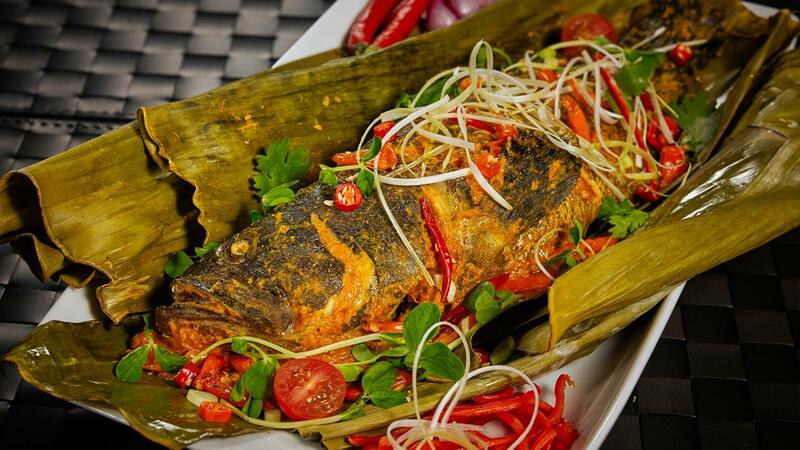 The freshness of this pepes ikan kerapu will be one that make your diners will crave for more. Take the fish that already cut into pieces and clean it by rubbing it with Knorr Lime Flavoured Seasoning Powder dissolved in water. Sprinkle it with salt and Royco Chicken Powder. Set aside. Mix all the ground seasonings in a bowl. Rub the fish evenly with seasonings. Add the chopped spring onions, Thai chillies, bay leaves and basil leaves. Wrap with banana leaves. Steam the fish for at least 3 hours for best results. Serve.